Ideally located next to Furzton Lake, within easy reach of the M1 junction 14 and only 2 miles from Milton Keynes shopping centre. Local attractions include the National Bowl concert venue, just a 5 minute walk and Gulliver's Land. 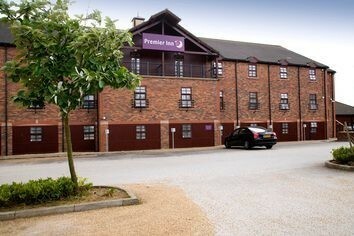 Our Milton Keynes Sw(Furzton Lake) Premier Inn has everything you'd expect, incredibly comfy beds in every room and an onsite restaurant. Exit M1(J14), take H6 (Childs Way) to Milton Keynes. At the 11th roundabout turn left onto the V4. At the next roundabout turn right, then turn right into Shirwell Crescent. Next to the Furzton Lake.